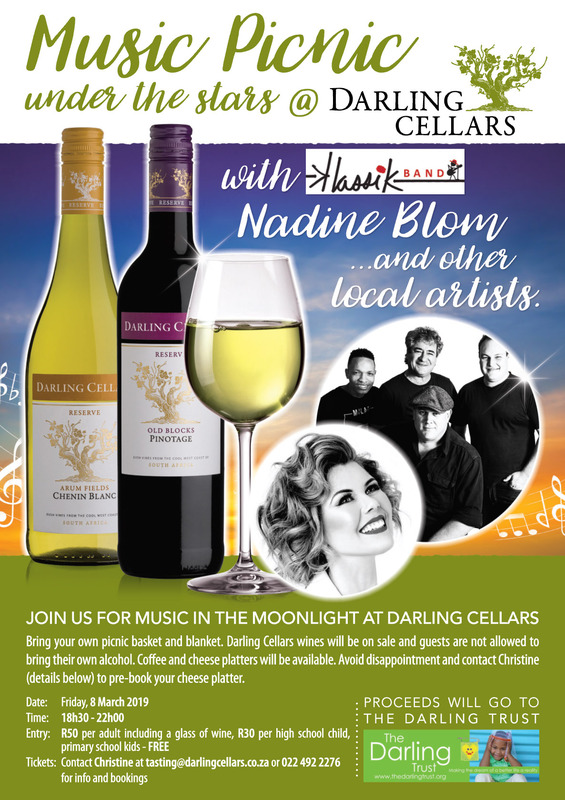 Music Picnic Under The Stars with Nadine Blom & other local artists! Join us for our annual Music Picnic Under The Stars! Bring your own picnic basket and blanket. Darling Cellars wines will be on sale (guests are not allowed to bring their own alcohol). Coffee and cheese platters will be available. The proceeds will once again go to The Darling Trust! Avoid disappointment and contact Christine (details below) to pre-book your cheese platter. Contact Christine at tasting@darlingcellars.co.za or 0224922276 for more info or bookings. 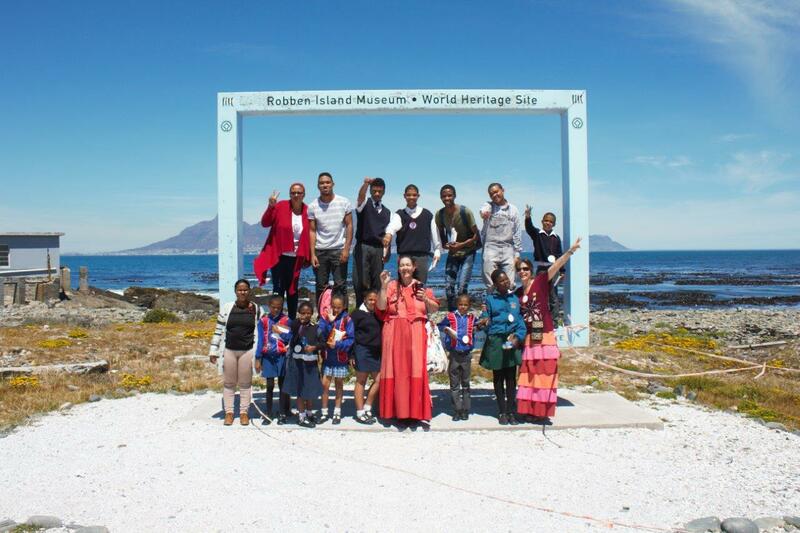 The dream of the Darling Trust’s Art and Life Skills class to visit Robben Island became a reality. Our hope to fulfil this dream led to a ‘vision’ – and eventually a ‘mission’ that we have completed. Embraced with so much passion and excitement by all at The Darling Trust. We are so thankful to Elevate Destinations and Uthando SA for this unforgettable and life changing opportunity for these individuals. THE DARLING TRUST is a charitable trust that assists the Darling community. 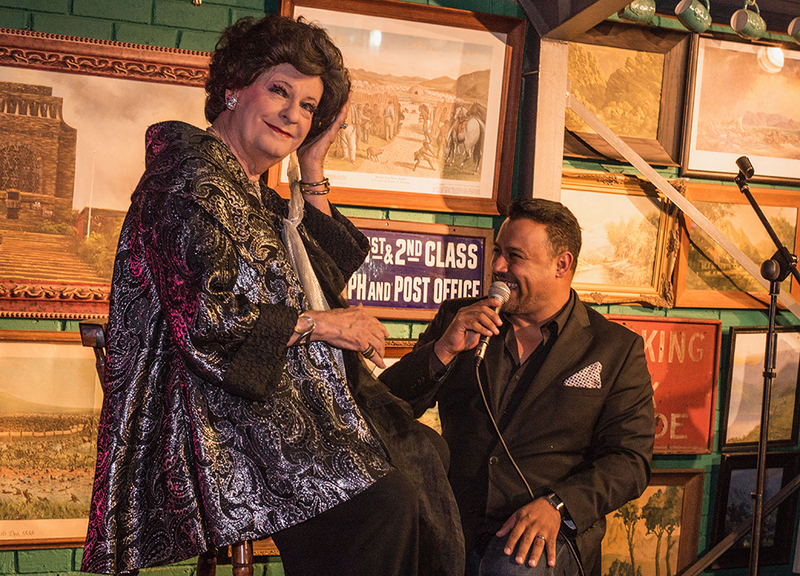 Established in August 2003 by founding member, former trustee and present patron, Pieter-Dirk Uys – The Darling Trust is set up to assist the previously disadvantaged communities of Darling. The aim: To empower individuals to help themselves, mainly through participation in the sectors of education, skills development and health. The Darling Trust implements projects that are meticulously planned, effective and fully accountable. Additionally acting as a channel for funding for our communities, by identifying areas of need and assisting those who endeavour to address those needs. Funding to these individuals and organisations is carefully considered and continuously managed to promote sustainability and accountability. 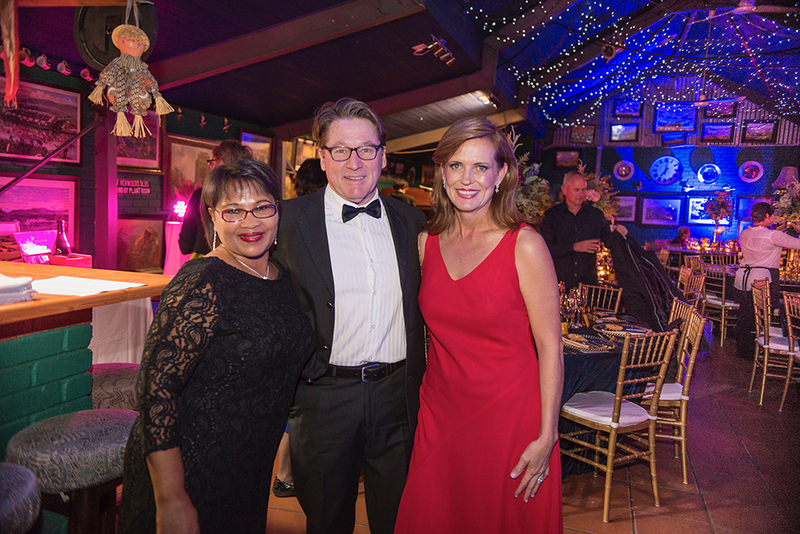 The Darling Trust Black Tie Dinner & Auction, held at Evita se Perron on Friday 4 May, was the launch of a spanking new bi-annual fundraising initiative for The Darling Trust. 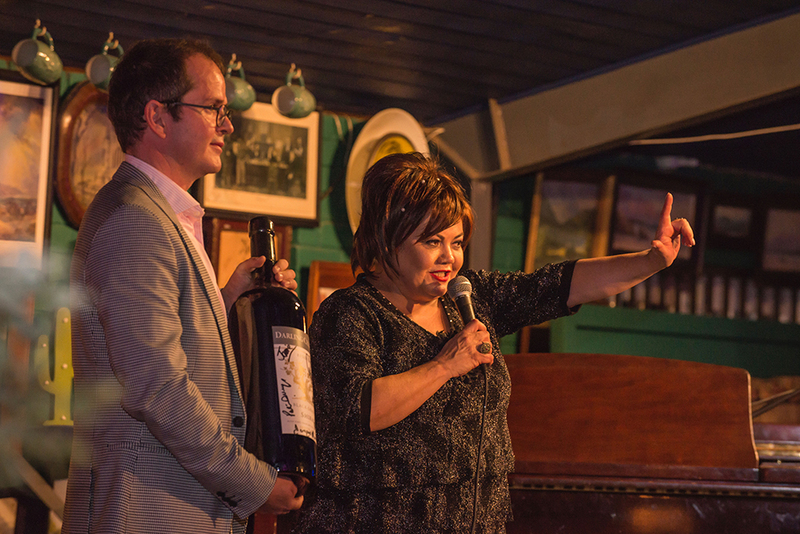 The event, which is the brainchild of trustee and Darling Sweet co-owner Hentie van der Merwe, was a resounding success, raising a record R158,000 for the Darling community! 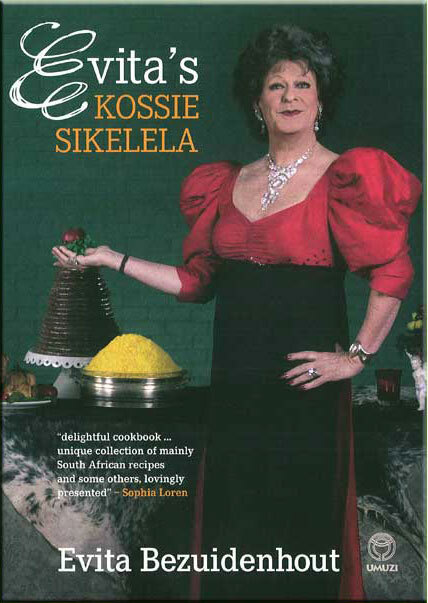 If the road to reconciliation run through a country’s belly, Evita’s Kossie Sikelela cookbook provides its recipe for peace. She invites the whole country, the whole world to her table where everybody can feast on dishes like green bean bredie and cumin chicken with sweet potatoes. Who’ll be able to moan and groan between mouthfuls of walnut balls and pampoenkoekies, or baked apple clowns? Truly, there’s nothing like a generous helping of rabbit in red wine or guinea fowl with sultanas & hanepoot to bring forth brotherly love. And liewe aarde, you will definitely want to be best friends with the orange trifle and Tannie’s melktert. Evita is always well prepared and includes recipes for diabetics and vegetarians, Halaal and Kosher dishes, and even recipes to keep as fit as she does. Whether she entertains her grandchildren, caters for a picnic or plans a Christmas menu, Evita cooks up a storm. Richly illustrated by artist Linda Vicquery, the expert behind the dishes. Also included: many photographs of Evita and a preface by none other than Sophia Loren. Unfolded, the dust jacket is a laminated full-colour poster. Also available in Afrikaans as Evita se Kossie Sikelela. Evita’s Kossie Sikelela (Umuzi) costs R175 including VAT and is available from selected leading bookshops as well as Evita se Perron. 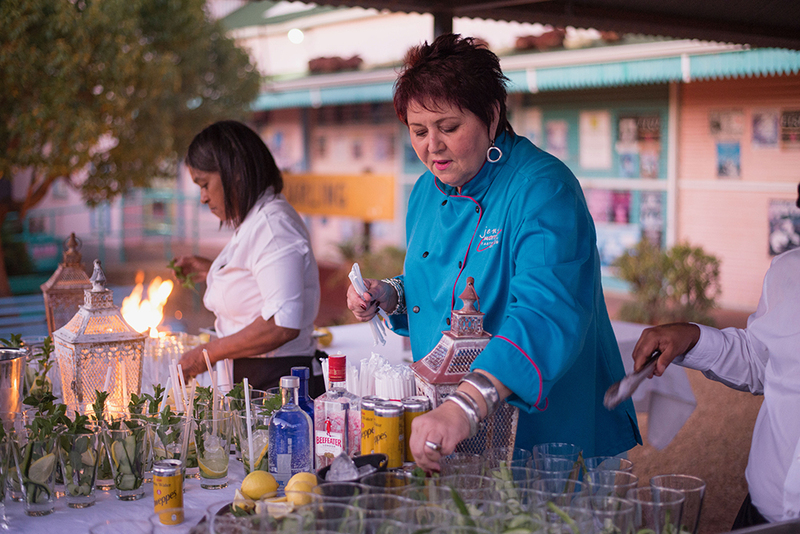 Evita — acclaimed chef and icon of the nation — presents her recipes for delicious dishes gathered on travels in South Africa and around the world. From the Cape to Limpopo, the West Coast to our president’s home province, come divine platefuls: guineafowl with prunes, potroasted quail, quince bredie and orange duck. Pofadders, oxtail and even sweet and sour warthog. Evita reinvents old favourites, and deliciously prepares veldkos — who would have thought of waterblommetjie chicken or dandelion salad for the dinner table? Each recipe has been tested and vetted, and they’re all ridiculously easy to make. My liewe aarde, just paging through the book is a mouth-watering experience, with all these pictures taken on her visits. First there was Kossie Sikeleta, now there is Bossie. A new culinary front hits your table. 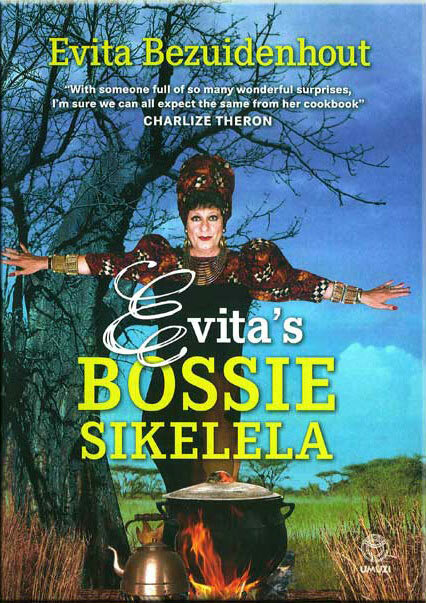 Evita’s Bossie Sikelela costs R175 including VAT and is available from selected leading bookshops as well as Evita se Perron. The mission of The Darling Trust is to support the Darling community by empowering individuals in Darling and the surrounding areas primarily through education, skills development, health care and community outreach programs. On the 8th of March 2010 our Early Childhood Development programme opened its doors to a very needed crèche with 40 children. In 2011 our brand new Grade R class opened its doors to a further 26 eager learners. The Education Center continues to grow and evolve – made possible by generous contributions from individuals, various organisations and subsidy from the Western Cape Department of Education. Evita’s Darlings are now up from 40 to 64 learners in two Grade R classes with a waiting list for next year! The classes comply with all Government requirements and are registered with the Western Cape Department of Education.